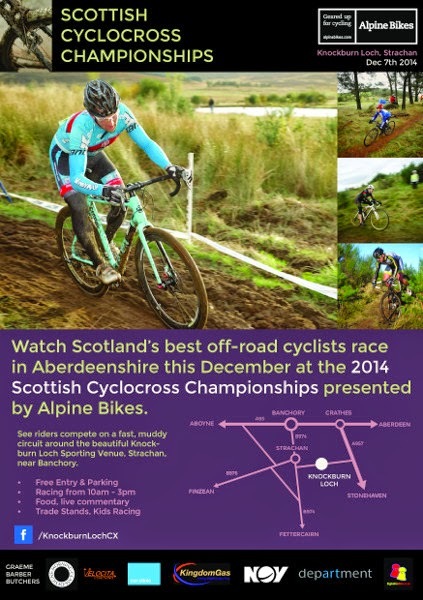 There's now just a little over a month to go until Deeside Thistle CC host the Scottish Cyclocross Championship at Knockburn Sports Loch in Aberdeenshire on 7th December. Make sure you keep up-to-date with latest news from #knocxburn by Liking the Facebook Event Page. Online entry is open, but remember that as it's a Scottish Championship race, entry closes earlier than normal at midnight on Sunday 23rd November. In line with Scottish Cycling's rules, there will be no entry-on-the-day for any categories. 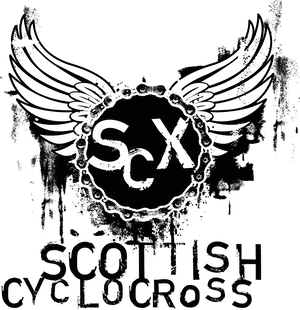 Scottish Cycling have eased the requirements for taking part in the Scottish Cyclocross Championships and unlike recent seasons, you will be able to race even if you do not meet the requirements to challenge for championship medals. British Cycling Race Silver and Race Gold Memberships (with an additional Full Race Licence) can compete in the Scottish Championships and are eligible for placings, points and prizes. British Cycling Race Bronze, Silver or Gold Members racing on a Provisional Race Licence (included with BC Race Membership) can race in the Scottish Championships but are not eligible for placing, points or prizes. Non members can pay a £3 British Cycling Day Membership fee (U12 Youth and Junior £1.50) at sign on (which grants a one Day British Cycling Provisional Race membership) and can race in the Scottish Championships but are not eligible for placing, points or prizes. Entry for the Scottish Championships is by Online Entry only. Entries Close 2 weeks before the race (Midnight Saturday 22nd Nov 2014). You must be a BC Member to use the Online Registration System, unless you are entering the U8 Race. However, If you are a non member, please email knockburncx@gmail.com to enter, so we can manually enter your details for you. You will have to pay your Race Fee and Day Membership Fee at Sign On.